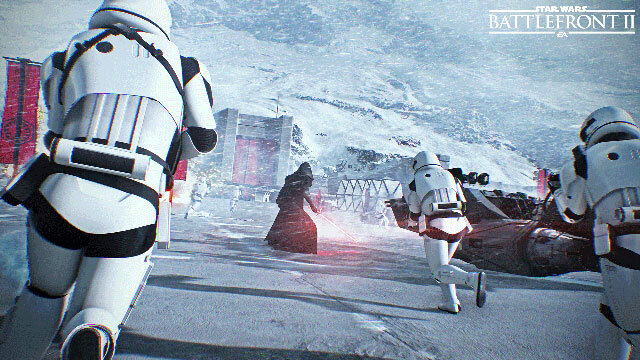 It’s been a turbulent start for Star Wars: Battlefront II, but developer, DICE, is still hard at work servicing the community, with the latest patch aiming to improve the game’s playability and functionality online. The game’s first big multiplayer patch comes as part of update 1.03, with fixes also coming for UI and save issues that have plagued the game since launch. Now available on PC, Xbox One and PS4, the 0.2 patch changes up spawn positions, while damage output and balancing has been applied to vehicles and certain weapons. One issue that has been present since the beta (!!!) is that of Rey’s mysteriously disappointing lightsaber, which has finally been addressed. Another problem that has had gamers bombard DICE across forums and social media is that of save files being deleted on console should a controller not be connected at any point, or lose connection shortly after a save has been made. 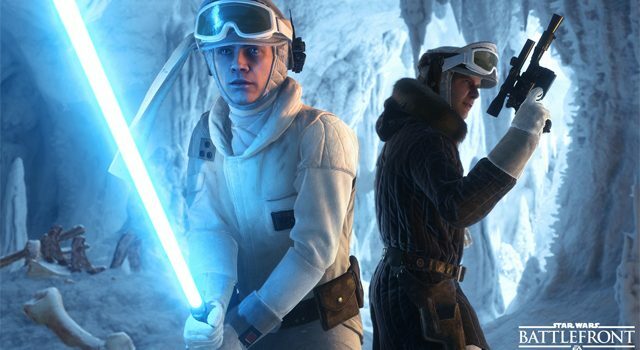 “This first patch is specifically focused on issues we found during the later stage of development, as well as addressing some critical gameplay and user interface problems across the game,” DICE said. “We have also made major improvements to our games stability and performance across all platforms to make the gameplay experience better for everyone. Reduced the spawn wave timer on Strike from 10 to 5 seconds. Tweaked spawn positions on Tatooine. Fixed an issue where the players would sometimes not be able to deploy as the AT-AT. Fixed an issue where Rey’s lightsaber would sometimes disappear. Fixed an issue where joining a game after getting a friend invite would trigger the incorrect camera view. Fixed an issue where footprint marks would sometimes leave strange lines on the ground when walking. Fixed an issue in Starfighter Assault where killstreaks would not calculate correctly. Fixed an issue where weapon VFX went out of sync when quickly transitioning between 1st and 3rd person camera. Fixed an issue where the NT-242 would cause too much damage against the AAT. Fixed an issue where controller input would be lost intermittently in the UI. Fixed an issue where the charge would float in mid-air on certain objectives in Strike. Fixed an issue in single player where some objectives did not trigger as intended, causing players to get stuck on certain objectives. Fixed an issue where Kylo Ren’s appearance reverts to the default version after he has been eliminated. Fixed an issue that prevented player to deploy in the AT-RT during the first phase of Galactic Assault on Hoth. Fixed an issue where the HUD would not update correctly on Strike. Fixed an issue where players could get stuck in the environment on Jakku while playing Strike. Fixed an issue where the game would sometimes get stuck in the loading screen while loading the campaign. Fixed an issue where players could interact with game mode objectives from greater distances than intended. Fixed an issue where certain HUD element were visible when in ADS while playing campaign. Fixed an issue where players would get progress toward Bossk specific milestones when playing as Han Solo. Fixed an issue where the TL-50 alternate fire loses functionality until fired again when swapping back and forth between weapons during the campaign. Fixed an issue where players could get stuck in the pause menus when reloading checkpoints in the campaign. Fixed an issue where the AAT would sometimes spawn beneath the MTT in Galactic Assault, rendering it unable to move. Fixed an issue where the game would freeze if players attempt to pause the game at certain zone transitions. Fixed several graphical and texture issues that would occur during the campaign. Fixed an issue that would cause texture flickering on Multi-GPU configurations. Fixed an issue where text would overlap in the Crate opening screen. Fixed an issue where text would overlap in the Star Cards Trait description screen. Fixed an issue where text would have bad line breaks in the account sign-up flows. Fixed an issue where card names are cut off incorrectly in the Equip & Craft screens. Fixed an issue where certain Hero names overflows in the Character select screen in Heroes vs Villains. Fixed an issue where several ability names have bad line breaks in the Collection screen. Fixed an issue where switching between screens would sometimes cause problems with the UI. Fixed an issue that caused the Social Hub system to behave incorrectly if a players account had more than 100 friends. Fixed an issue where Weapons & Star Cards equipped on Iden from the Character screen does not reflect in-game. Fixed an issue where some Star Cards would be available without their required Star Level being achieved. Fixed an issue where progress is not tracked correctly in the UI for certain milestones. Fixed several typos or incorrect information displayed in the Trooper Milestones. Fixed several issues where localized text did not appear correctly in certain screens. Fixed several issues where text would have spelling errors for certain languages. Updated art for certain Star Cards. Fixed an issue where the player’s saved data would be erased if starting the game with no controllers connected. Fixed several clipping issues that would occur during the campaign.